We have a selection of Pianos available for Sale, Rental or Hire Purchase including Small Moderns, Traditional Uprights, Grand & Baby Grand Pianos. Examples of our restoration & polishing work is available on our Piano Restoration & Polishing Portfolio page. All enquiries regarding Rentals, Hires & Sales contact us on 01924 387 600 Mainland Uk Nationwide Delivery available. 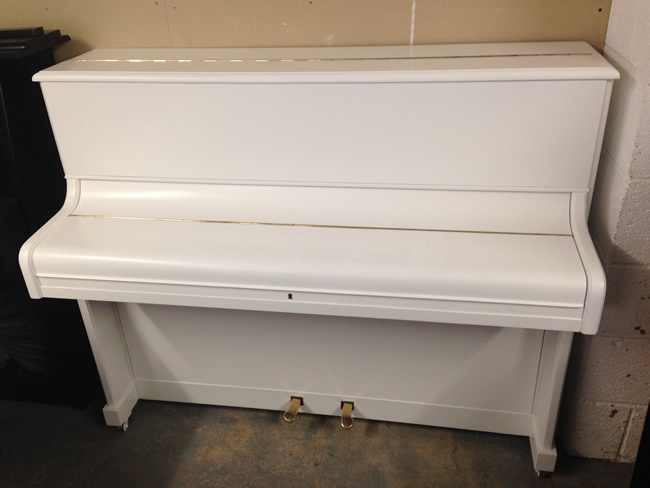 If you are interested in buying a white piano we can re-polish the Majority of the second hand pianos we have in stock either white or ivory on request. 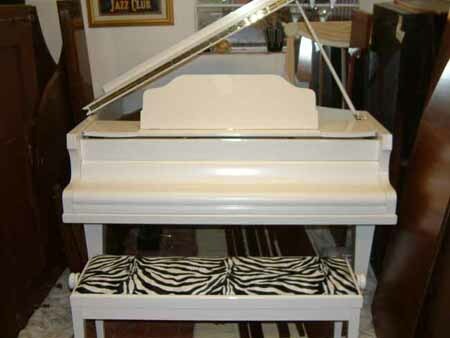 All the Restored Pianos we supply come with a minimum of three year parts labour warranty and a matching piano stool. Scroll down to see a small selection of examples of the White Pianos we can supply. 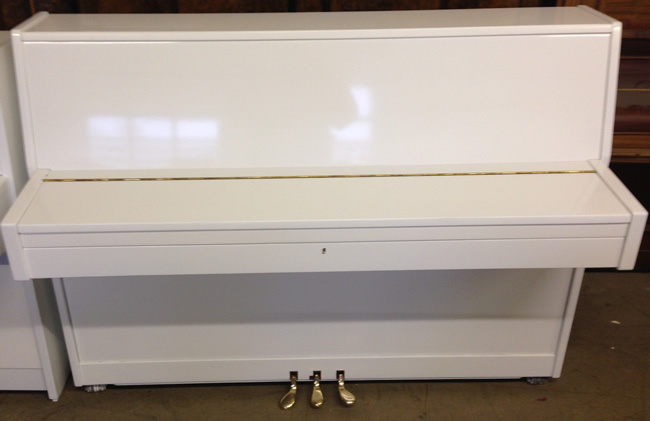 White or Ivory Satin Yamaha U1 & U3 Pianos from £3250.00 Restored. Take a look here: Yamaha pianos for more details. White or Ivory Satin Grand Pianos from £2450.00 Restored. but are due to be white or ivory so contact us for more information. White or Ivory Traditional Pianos from £1250.00 Restored. restored then re-polished with a White, Cream or Ivory Satin finish. 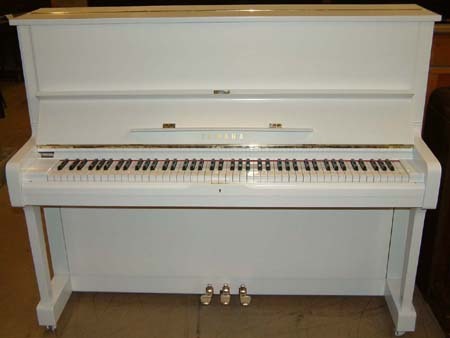 White or Ivory Small Modern Pianos from £950.00 Restored. can be restored& re-polished with a White, Cream or Ivory Satin finish.